When you love a place it creates a loyalty beyond reason. People who are passionate about Central Otago and embrace our regional values are people who care about this place. Our Partners are people who have agreed to do just that. They want to be great advocates for Central Otago and help create the kind of place we can be proud of. Our partners tell us what living the Central Otago values looks like in practice. They’ve critically thought about the decisions they made and the way they want to operate because they care. Any Central Otago business or community group who is passionate about Central Otago and wants to live by our regions values can be a proud partner too. Contact the Regional Identity Manager to arrange a time to meet with you. 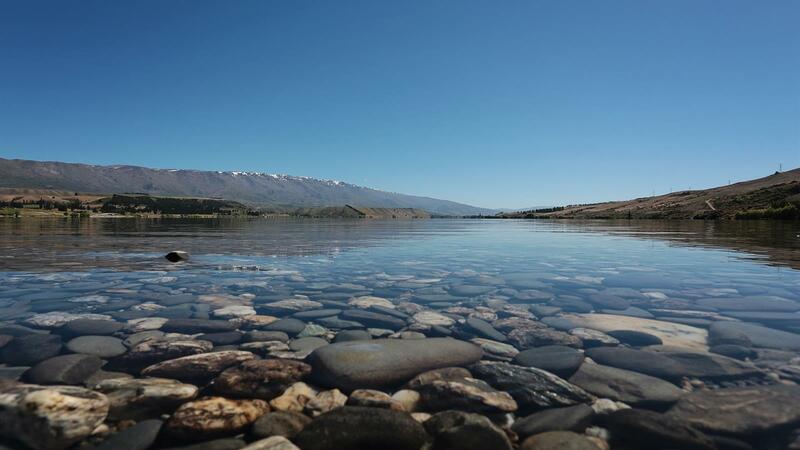 Imagine Central Otago as a vast land of uncompromising beauty. People with noble hearts, strength, bravery, ingenuity, high spirits, freedom and pride that soars. A place that attracts new thinking. Central Otago will be a better world for those that succeed us. The reality of caring for 47,000 vines didn’t scare Kristin and Paul Wright when they bought Three Miners Vineyard at Earnscleugh in 2014. Planting 20 tiny corms in tubs in their Dunedin backyard - was the start of an inspirational saffron-growing success story for Wendy King and Graham Strong. The warmth and love of family farmhouse meals inspired Chilean-born Paulina Corvalan to establish her own restaurant where food and stories could be shared. Capturing life’s fleeting yet pivotal moments is a privilege and a passion for Alexandra-based wedding photographer, Alyssa Drake. It’s fine-art photography that shapes and shares inspirational moments and memories. Making people happy and tailor-making dreams. That’s the vision of Heliview Flights—a family business offering spectacular scenic helicopter flights across the south. Roxburgh East fruit grower Sid Birtles relishes the seasonal changes and busy life that producing fine fruit brings. A critical health challenge led Sally Feinerman to launch a business that gets people in shape. When New Zealand Nut Producers planted its first walnut trees in a research orchard in 1986, owners Otto and Valda Muller were clearly playing the long game. Guardian of the Roxburgh Gorge and Clutha Gold cycling and walking trails—two ‘Great Rides’ of Nga Haerenga, the New Zealand Cycle Trail. She’s a jack-of-all-trades whose vision to share Central Otago’s community news and information on a smartphone app generates 100 new downloads a week. Bob Tovey always knew he wanted to grow something. It turned out to be fine, fresh culinary herbs. There’s risk and reward aplenty for Cromwell Basin’s 45 South group, New Zealand’s largest cherry exporter. Bike It Now! is a Clyde-based cycle retailer and tour operator, servicing the Central Otago Rail Trail and the many kilometres of other nearby trails. A deep motivation to empower others is at the heart of Cromwell artist Joanne Deaker’s thought-provoking work. It’s no ordinary box of fruit. Local apricots and cherries marketed under the Central Otago Premium Fruit brand proudly share Central Otago’s special qualities with the world. Wedderburn Cottages, exactly halfway along the Otago Central Rail Trail, is purpose built accommodation much appreciated by many a trail user. The pleasures of sharing Central Otago’s rich, captivating heritage is at the heart of Andy and David Ritchie’s gourmet food and luxury accommodation business, Olivers. Carrick Winery is single-minded about the importance of ‘place’ and making wine that reflects the land. For Gertz Larder founder, Glenda Rogers, it’s all about the bold, intense flavours of Central Otago. The reaction after tasting her gourmet creations is usually `Oh…wow’. Touch Yarns – “the beautiful yarn company” – is based in historic Clyde and specialises in knitting and weaving yarns made from locally-sourced fine fibres. It’s a rare visitor that passes through Roxburgh and does not stop to enjoy a world-famous Jimmy’s pie. Daydreaming about Provence led Anna and Stephen Clark on an 18-year pilgrimage producing finely-crafted extra virgin Central Otago olive oils. Waipiata is now one of Otago Central Rail Trail’s delights, with the transformation of the Waipiata Country Hotel and nearby accommodation, Tussock Lodge. A passion for sled dogs is at the heart of dog equipment business the Real Dog Company and sister enterprise Real Dog Adventures. Secluded from the flurry of everyday life, Alexandra’s award-winning Harmony Skin & Beauty is a sanctuary of rejuvenation and relaxation. A modest label inked with the words `Closeburn Station’ is neatly stitched into the seam of exquisite, Italian-designed, fine wool suits worn by Japan’s top corporate executives. Looking for a business opportunity on the fun side of life led Marise and John May to Millers Flat. Unearthing layers of Central Otago’s rich heritage to understand why, what and how is one of Matt Sole’s greatest pleasures. Morphing from paintbrushes to new tech, Hilton Signs is Central Otago’s longest-running signwriting business. Pitches Store incorporates both boutique accommodation and an eatery. It occupies the old, much-admired general store in Ophir’s main street. In 2002, Central Otago’s inimitable blue sky days captured the heart of Owen Philip, owner and managing director of construction company, Central Blue Ltd. Hear ye…hear ye...Paddy-Ann Pemberton’s spirited cry rings out as she celebrates her love for Central Otago.